Aksharadhool: Getting it all wrong! An upcoming politician from India, who founded a new party last year and has had some success in the election for a state legislature, carried out about two months ago and who had also managed to form a minority Government for a short period, recently visited one of India's western states. Normally. I don't like to cover political issues here on my blog and therefore would have not taken note of the utterances made by him during his visit. However, he made two controversial statements, which according to me require some discussion. I would be discussing here only one of his statements in detail. Before going to the specifics of this case, let me take you back to eighteenth century, to a small kingdom in south India, known as Mysore Kingdom. This Kingdom founded way back in 14th century was ruled by the Wodeyar family, initially serving as a vassal state of the Vijayanagara Empire. With the decline of the Vijayanagara Empire (circa1565), the kingdom became independent. It became a powerful state in the Deccan in the 17th century with a steady expansion of its territory. The kingdom reached the height of its military power and dominion in the latter half of the 18th century under the rule of Haider Ali and his son Tipu Sultan. The British defeated Tipu Sultan in 1799 and brought back the Wodeyars to their throne by way of a subsidiary alliance and the diminished Mysore was transformed into a Princely state under control of British East India Company. As a princely state, Mysore slowly became one of more modern and urbanized regions of India. Under Wodeyar rule, Mysore emerged as one of the important centers of art and culture in India. The Mysore kings proved to be enthusiastic patrons for music and arts. Krishnaraja Wodeyar took over the reins of the state on 8 February 1902. 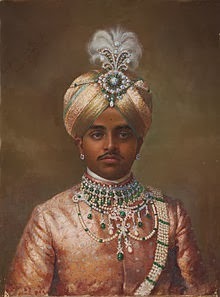 Under his rule, with famous Sir M. Vishweshwariah as his Diwan, the Maharaja set about transforming Mysore into a progressive and modern state, particularly in industry, education, agriculture and art. During his reign, he worked toward alleviating poverty and improving rural reconstruction, public health, industry and economic regeneration, education and the fine arts. Such were the strides that Mysore made during his period that Gandhiji was moved to remark that the Maharaja was a Rajarishi ("a saintly king"). He built a railway, roads, bridges,dams, hospitals and created an excellent infrastructure in his state. Krishnaraja realised that poverty of his subjects can be truly alleviated if they have good education and proper opportunities of work. For education, he founded many educational institutes, the foremost of which is obviously the Indian Institute of Science. He gifted acres of prime land in Bengaluru for this institute to come up and flourish. He was very keen that Industries come up in his state so that his subjects get employment opportunities. The list of factories that he helped setting up is really remarkable and shows his foresight. The range of goods, these factories produced is just amazing. This list consists of factories such as Mysore Sugar Mills,KR Mills- Mysore, Mysore Paper Mills- Bhadravati, Mysore Lamps- Bangalore, Mysore Chemical and Fertilizers Factory- Belagola, Glass and Porceline Factories, -Bangalore, Mysore Paints and Varnish Limited, Mysore Implements Factory- Hassan and finally Hindusthan Aircraft Ltd., the only aircraft factory in India. Readers would realise, how farsighted , this Maharaja was, when he gifted acres of free land to these industrial undertakings and also invested heavily in these companies. In a short span of a decade and a half, Maharaja was able to transform his once predominantly agricultural state economy to a mixed economy with a good percentage of industrial production. I have elaborated on this part of history with a purpose. I want readers to realise that for a state, which desires that its citizens progress and flourish, it can do so only if it manages to create suitable infrastructural facilities and employment opportunities for the people, which would ensure their progress. In the socialistic system, the state would take upon itself the job of creating infrastructure as well as that of setting up factories to provide employment opportunities for the people. India tried out this system, as a legacy of Prime minister Nehru. The system no doubt, managed to create basic infrastructure, but later was found totally inadequate to deal with a growing economy. The concept of mixed economy was therefore evolved in which, Government works in partnership with privately owned individuals and companies. It is obvious and easy to see that private enterprises would go into any business, only if it satisfies their principal motive of making profits and there is no need to see red in that. What the Government needs to ensure is that in the long term, it does not get swindled and gets proper return on its investment. With these basic concepts thus cleared, let us now examine the case criticized by our upstart politician. The utterances of our upcoming politician, to which I am referring here, pertain to the establishment of a solar power station. 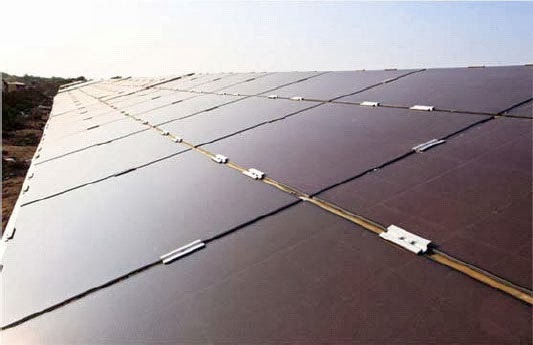 For the readers, who are not very familiar with this new concept, this power station is essentially a vast stretch of land in which acres and acres of land are set up with fabricated steel structures, carrying solar photo cell panels that generate electricity. All these panels are connected electrically with others and produce electrical power from sunlight. There is no requirement of fuel, minimal maintenance is required and once set up, it generates power at no cost. However the basic problem here is that of the cost of the land required for the project and initial cost of panels and fabricated stands. This cost is enormous, because of its vast scale. Anyone,who wants to set up such a power station, needs to invest very heavily in such a project. He can hope to recover his costs only if he is paid a handsome rate for electricity generated by him, which works out at least 8-10 times the conventional rate of electrical power production to begin with. If he is offered a lesser rate for the power generated by him, the whole project become nonviable. But as years go by, the investor's investments are recovered and since there are very few running costs, solar electricity becomes eventually one of the cheapest ways to generate electric power. So how can a state promote establishment of such power projects, which could provide power in the future at a low cost and that too with least pollution? This can be done if the state Government steps in and initially buys electricity from the producer at a much higher cost, offsetting costs of his investments, effectively giving a subsidy to the power producer. This exactly has been done by the concerned state Government and now being criticized and disfavoured by our upcoming politician, who says that the state government should have asked for bids from the solar power producers and should have bought power from lowest bidder. But, need for cheap power alone, is not the driving force behind setting up solar power. Around 2005, International community finally became aware of the real danger of Greenhouses gases and the resultant climate change. Power stations based on fossil fuels contribute substantially to greenhouse gases. The Kyoto Protocol to the United Nations Framework Convention on Climate Change (UNFCCC) is an effort under which many developed countries have agreed to legally binding limitations/reductions in their emissions of greenhouse gases. 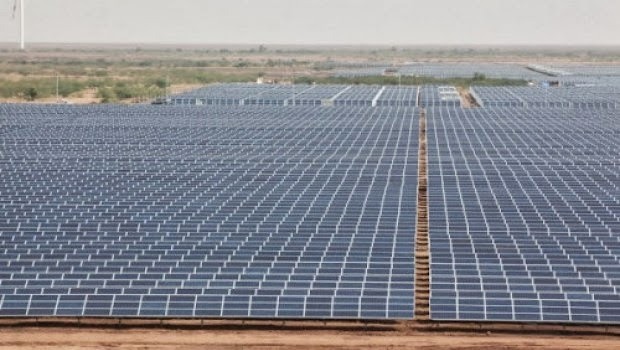 As a response to this international effort, India unveiled a US$19 billion plan to produce 20 Giigawatts of solar power by 2020 in July 2009 itself. India added over 1 Gigawatt of solar energy to its electrical grid during 2013, a major milestone that nearly doubles the country’s cumulative solar energy capacity to 2.18 Gigawatts. This is surely a good sign that India will be able to meet its ambitious solar target of 10 GW by 2017 and 20 GW by 2022. If we want to install solar power stations on such a large scale, only way they can be made economically feasible, is by subsidising them for the first few years, with low land costs and with a higher tariff paid for the power produced. This subsidy can only be given by the state and there is nothing immoral or wrong about it. It is just a way of financing the project, which is going to be beneficial for the people in later years. Whatever, our upcoming politician says in this matter, I feel that the best course is to neglect him and continue with the job. This is an eye opener. Hope the sensibilities of voters are stimulated to the extent to see through and spurn the citing of malicious propaganda.